I get excited when a fancy, new restaurant opens near my house. Living in the South Hills on the closer side to the city, our restaurants are mostly pizza and other types of takeout with a couple other casual sit down places mixed in. 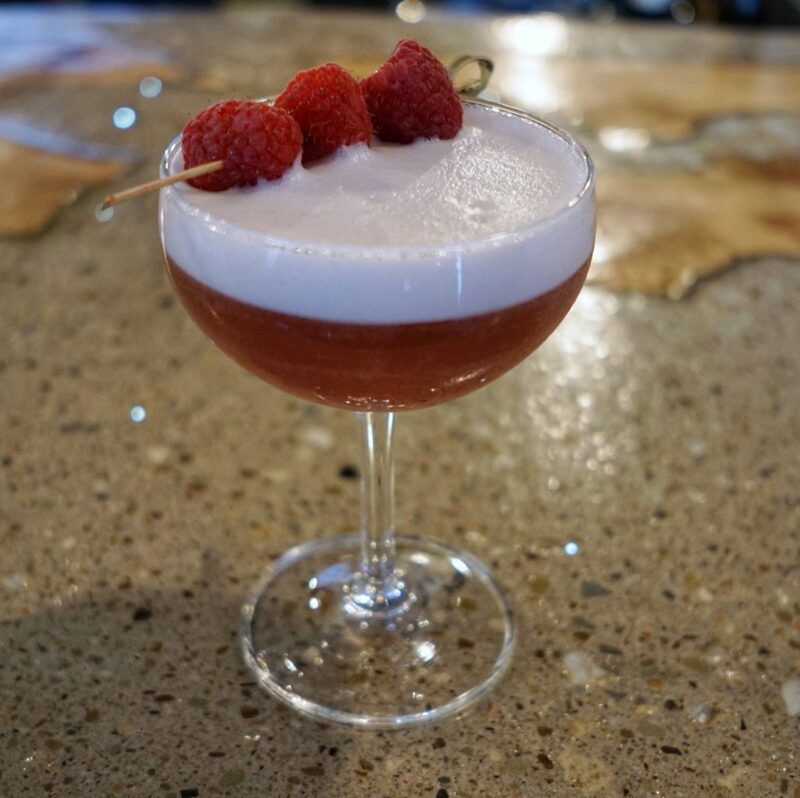 It was a pleasant surprise when a French Bistro, Jean Louis Parisian Bistro, was announced to take over the space which was formerly Needle & Pin. I was skeptical at first if people would come to Dormont for a nice French meal. I quickly realized they will when I stepped into the restaurant on a Tuesday evening and it was completely full. I was immediately greeted by the host and a bunch of my foodie friends gathered at the bar. The next thing I noticed is the quality of the bar and cocktails has not changed from Needle & Pin. 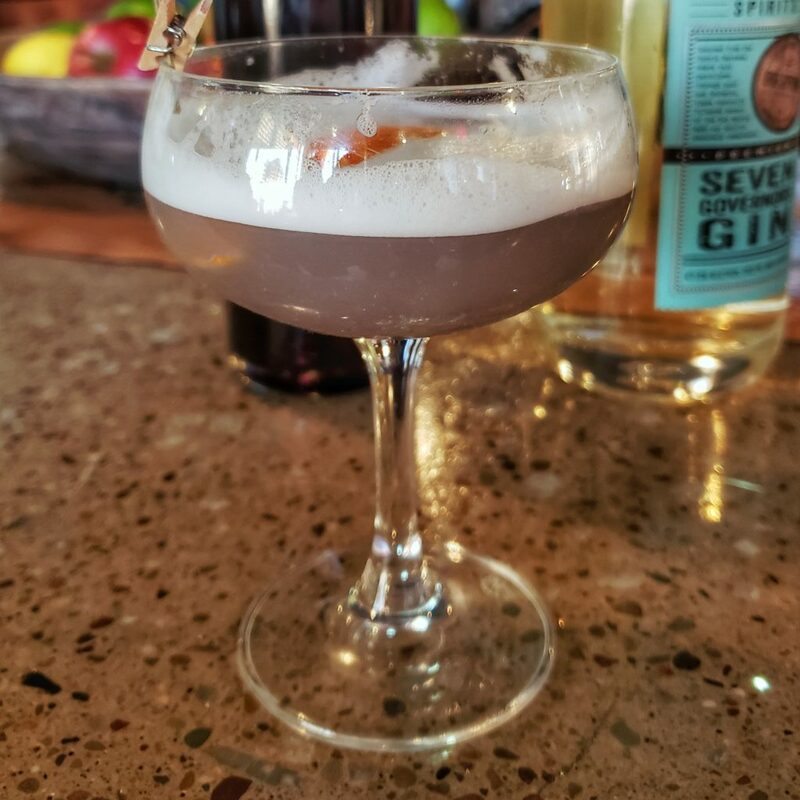 The staff at Jean Louis created a new cocktail menu with less focus on gin and more focus either on classic French cocktails like the French Martini or on newer mixes like Floating Cloud with gin or the Scotch Walker with obviously Scotch. 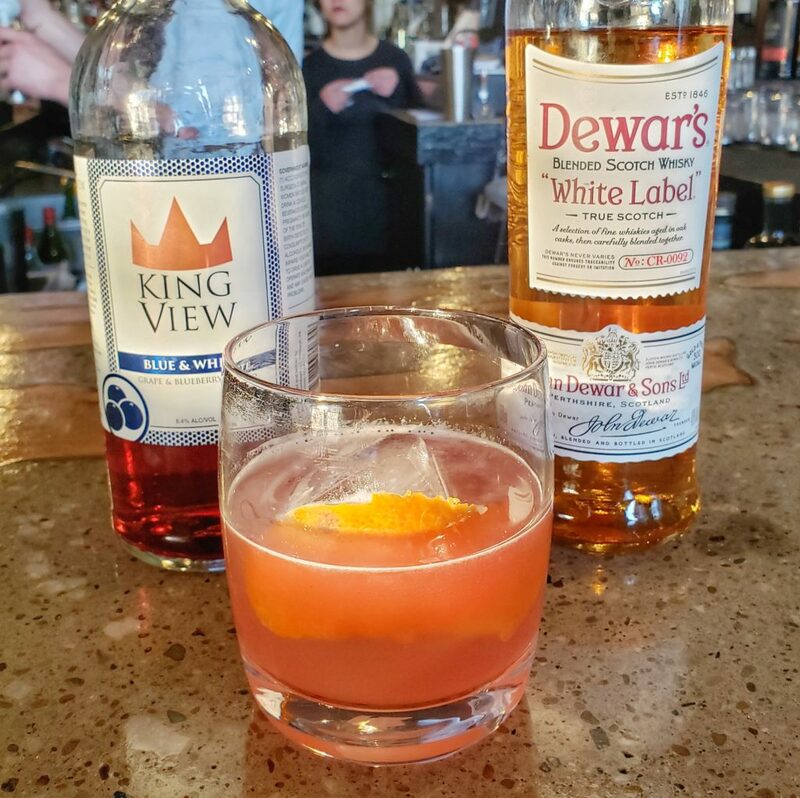 I went with the Scotch Walker as my main cocktail of the evening until wine. The bar area is rather small at Jean Louis is rather small though so getting a seat at some times in the day might be difficult. This is where my evening will differ a bit from that of someone who comes in for the usual dinner service. The group of us organized by Bold Pittsburgh were at Jean Louis for a tasting dinner to try multiple dishes. We were directed downstairs to the recently renovated event space. Meeting us at our table were our main server who was super nice and attentive all evening and beautiful several charcuterie boards. 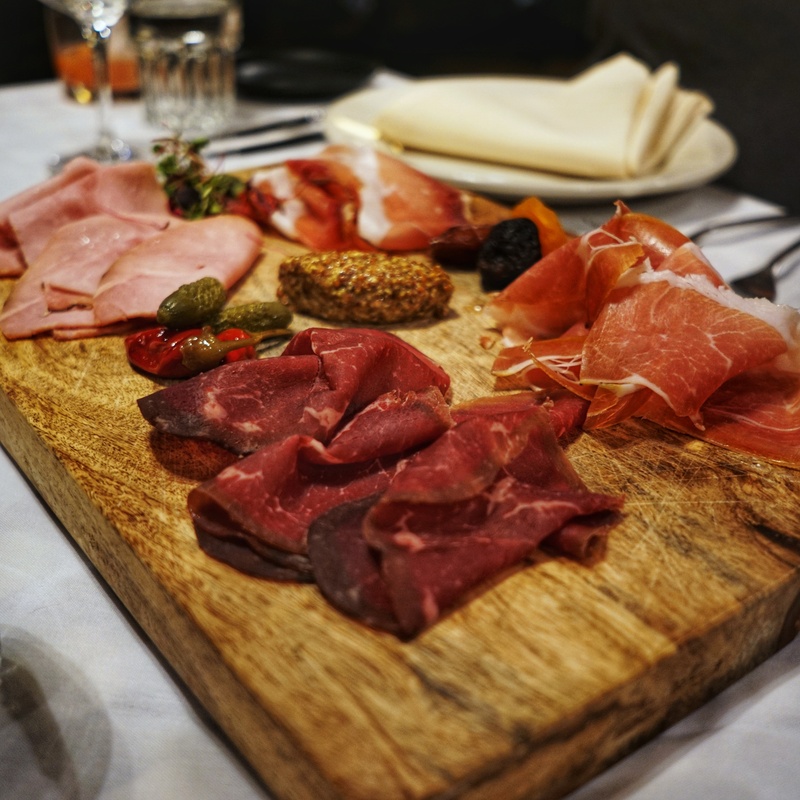 The assortment of cured meats was delicious. So delicious I might have finished off multiple boards when some of the others were saving room for our courses to come. We also had baked kale with a wasabi sauce as an appetizer, which might be a good way to convince me to eat more kale. Chef Gaetano Ascione then came down from the kitchen to introduce himself, give us some of his history and a brief introduction about why he wanted to open a French Bistro in Pittsburgh. I thought it was a nice touch to see him walking around the restaurant and talking to the guests. It is also great to have a rather accomplished chef decide Pittsburgh is a great location for a restaurant and hope other chefs follow suit. 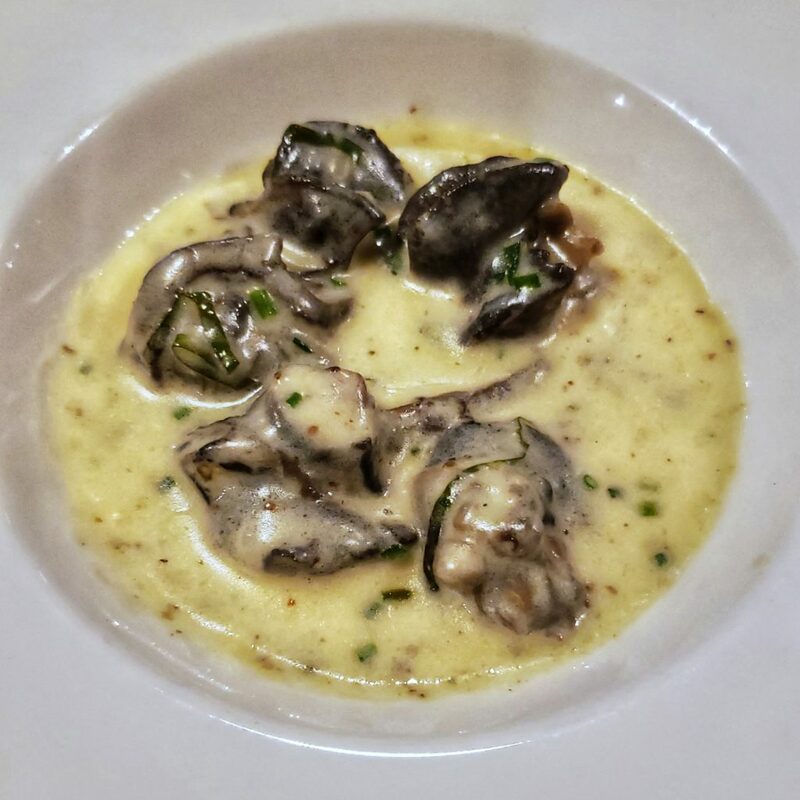 Moving into the heavier dishes, we were first served escargot in a garlic butter cream sauce. I love anything made with lots of butter, but these snails were exceptional. They were soft and decently sized. Escargot, not that I have eaten it often, can be something that if cooked wrong can be chewy. Smothered in a garlic butter sauce was probably one of the best ways I’ve eaten escargot. We were all grabbing bread to soak up the sauce. Next was gnocchi with gruyere, mushrooms and black truffle. The gnocchi was large and soft. 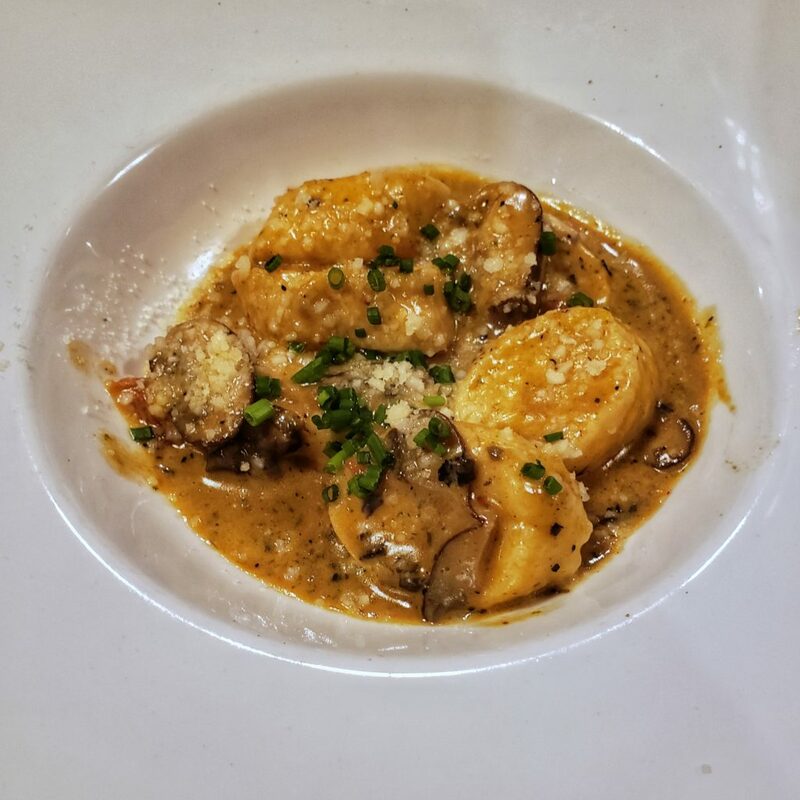 It was nice to have a gnocchi dish a little different from the traditional in red sauce. Again with this dish, the sauce was incredible. So good and rich in flavor we jokingly asked for the staff to bring us extra bowls of sauce just for dipping. They brought us out two more bowls of just sauce and more bread. 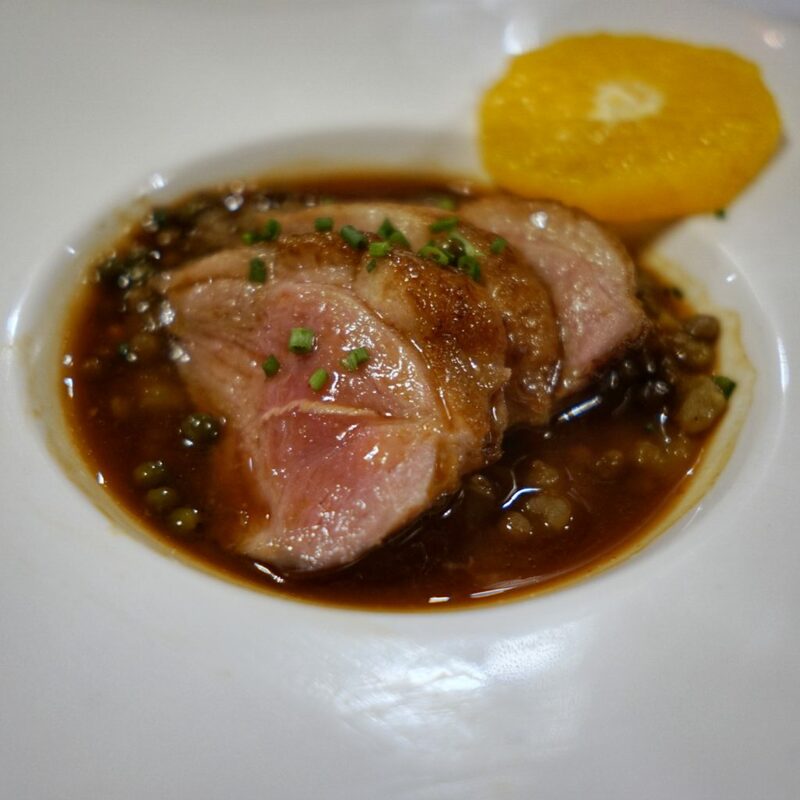 Our final main course tasting was the traditional French dish duck a l’orange. The duck was cooked to around medium and the sauce was sweet but not overpowering. 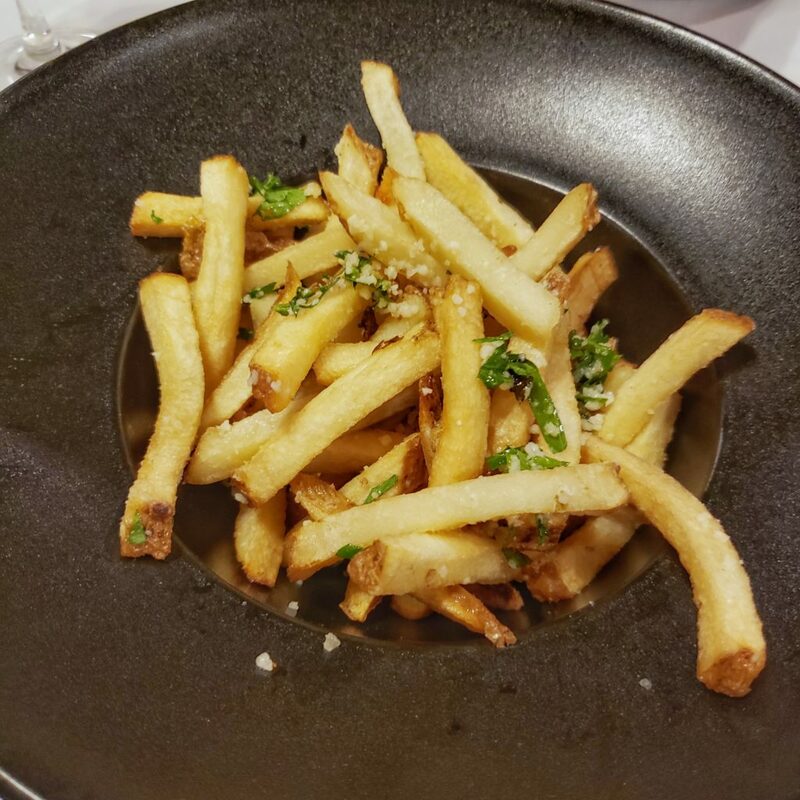 Served with this course were bowls of french fries with truffle oil and parmesan. All three main courses we sampled were fantastic. Definitely a good choice for diners that like rich flavors. This is also just a small portion of what is on the menu. They feature a lot of beef, fish, chicken, and lamb as well with the lamb locally sourced from Jamison Farms. We then moved on to dessert. We tried a vanilla ice cream topped with tomato marmalade and chocolate truffles. 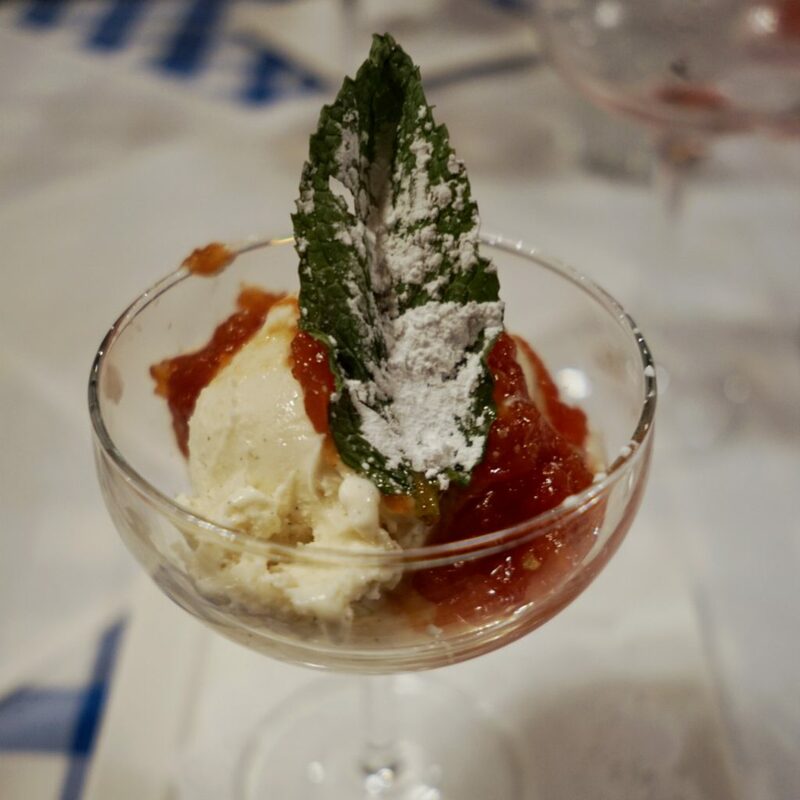 The ice cream was creamy and the tomato marmalade was a different flavor for a sweet jam. Chef Gaetano Ascione asked us to guess the flavor instead of letting us know right away. When we all knew it, he led us on to think it was something else. It’s quite hilarious to think you are totally wrong on your taste palette then surprise you were right. 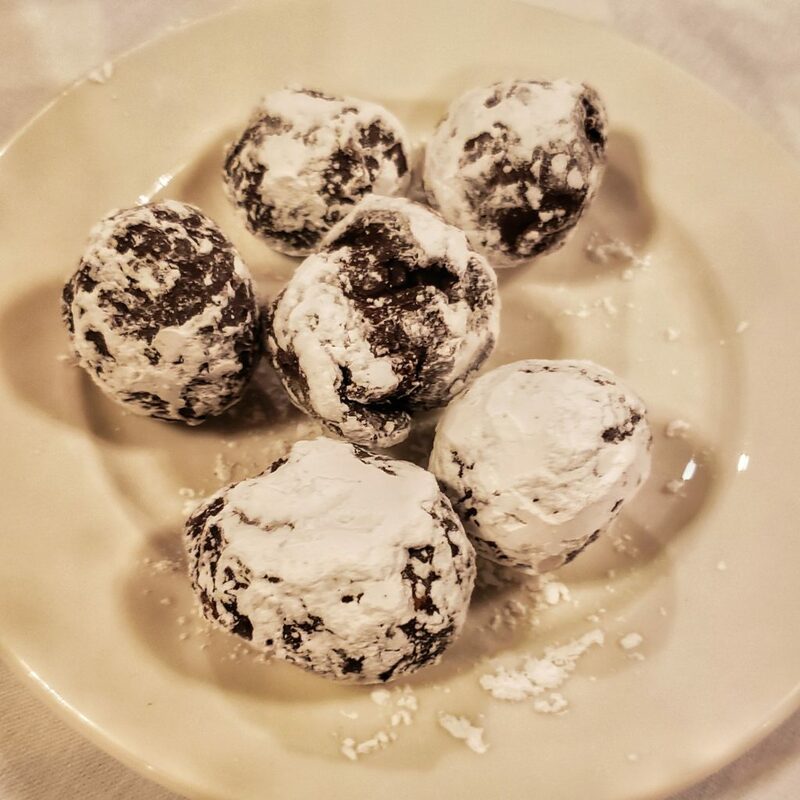 The truffles were decadent and I think I had several when everyone else was too full to keep eating. Ending the night, Chef Gaetano thanked us for visiting the restaurant and told us about the Politically Incorrect Cooking Classes they were starting at the restaurant. The concept sounded like a lot of fun and something I would like to attend. However, this was probably the only time of the night I could see why someone would be put off from visiting Jean Louis. Chef made some comments that can definitely be taken as politically incorrect probably as an attempt to further push the concept of the cooking classes to be offered. I think it was visible some people at the table were bothered or laughed uncomfortably. I know this is something that since has been brought up in other reviews. Did this change how I felt about all the fantastic food I was served or the superb service I received the rest of the night or my appreciation for alliteration? No. Everything I ate was what I would expect to be served at a quality restaurant. Both of our servers were wonderful. Everyone I ate with all had a great great time. I left Jean Louis satisfied with my meal and excited about the idea of returning to the restaurant in the future. I look forward to getting off the T and crossing the street to get an after work cocktail. I definitely want to visit again to try so much more of the intriguing menu as well as some of the delicious sounding daily specials. I also like I can literally walk to such a nice restaurant from my house in less than 10 minutes. 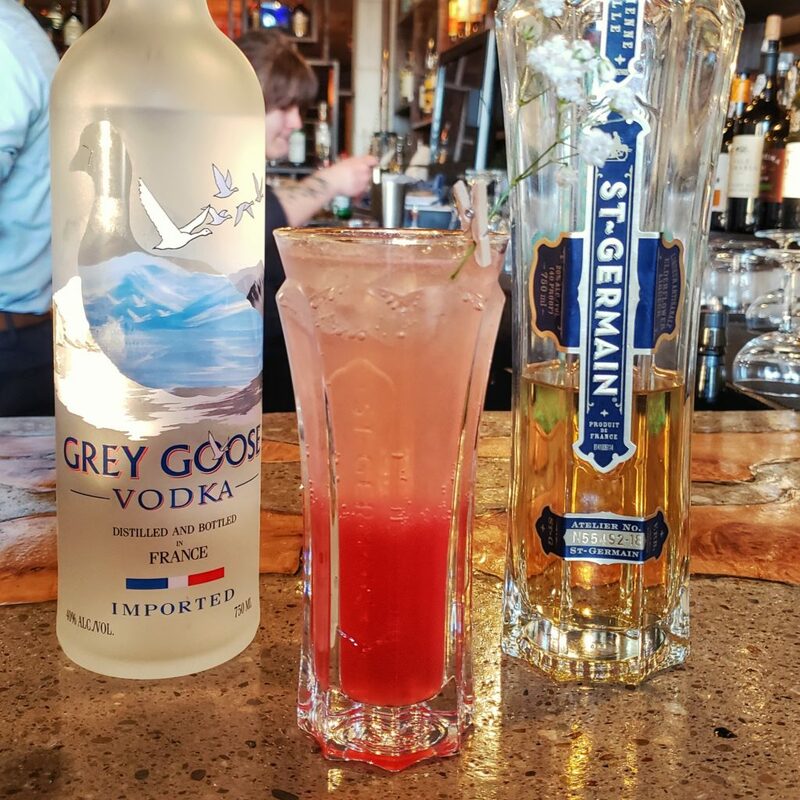 I’m glad restaurants like Jean Louis are opening in Dormont, become successful in the neighborhood and see many more exciting restaurants follow. Jean Louis Parisian Bistro is at 3271 W liberty Avenue in Dormont.